Smell the fresh, enticing aroma of authentic Danish breads, cakes and pastries at Cloverdale Bakery. We bring authentic Danish products to our customers in Surrey and the surrounding areas. We specialize in fine rye breads, coarse rye, real Danish pastries and whipping cream cakes. Cloverdale Bakery offers fresh products at reasonable prices. Our specialty baked goods offer a bit of Denmark that is not available everywhere. Cloverdale Bakery has kept customers coming back for over two decades. Use our rich rye bread for a traditional Danish open-faced sandwich. Order one of our light, moist whipping cream cakes for a birthday or special event. Indulge your family in a delectable apple strudel or raisin scone. 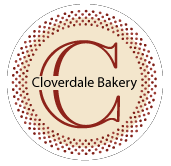 Cloverdale Bakery brings you authentic, tasty baked goods with efficient and friendly service. We are open seven days a week for your convenience. Give us a call to place an order or come by and see what we have in store today!